Join Women in Healthcare Management on Anthony’s patio on June 5 for our annual summer networking event – a chance to touch base and mingle between our Spring and Fall events. Appetizers will be served, and we will have a cash bar. Join us for dinner, networking, and what promises to be an educational and interesting panel discussion. Join Women in Healthcare Management for our annual summer networking event – a chance to touch base and mingle between our Spring and Fall events. Appetizers will be served. (1) What does ‘value-based’ care mean to you and your organization and what are you doing to deliver it? (2) What are new career paths you see in the quest for value, and the skills women in healthcare need to pursue those paths? Please see panelist bios below. 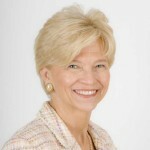 Patricia M. Noga, Vice President, Clinical Affairs of the Massachusetts Hospital Association (MHA), leads a variety of clinical and health system-related programs which support Massachusetts hospitals in continually improving patient safety and quality of care, the healthcare workforce, and emergency preparedness. Currently, she is the leader in implementing the MHA’s Statewide Performance Improvement Agenda focusing on statewide initiatives to improve quality, improve efficiency, and improve safety. She leads the state in the continued implementation of the national quality improvement collaborative in Massachusetts hospitals, Hospital Engagement Network; in conjunction with the American Hospital Association’s Health Research and Educational Trust. Pat also co-chairs MHA’s Substance Use Disorder Prevention and Treatment Task Force which issued Guidelines for Emergency Department Opioid Management. Pat received her Associate in Liberal Arts degree from Elmira College and her Bachelor of Science in Nursing degree from Skidmore College. She received her Master of Business Administration degree from Suffolk University and her doctoral degree in health policy from the University of Massachusetts. Emily DuHamel Brower is Vice President of Population Health for Atrius Health, an alliance of three medical groups and a home health care and hospice agency in Massachusetts. Emily has developed opportunities to support transformational work that measurably improves healthcare for Atrius Health patients, including leading Atrius Health’s implementation of the Pioneer ACO model, an initiative of CMS’ Center for Medicare and Medicaid Innovation. In her position, Brower leads cross-Atrius Health, cross-discipline teams of over 50 people involved in redesigning care, moving from a payer-based to population-based approach for high risk patients. Patty joined Tufts Health Plan in 1993 to develop and launch the company’s Medicare business. Under her leadership, Tufts Health Plan established itself as a market leader and became the number one Medicare Advantage plan in Massachusetts. Patty is responsible for all aspects of Tufts Health Plan’s senior business including strategy, product development, network management, care management, marketing and sales. Tufts Health Plan Medicare Preferred is consistently ranked among the top Medicare Advantage plans in the country by the Centers for Medicare and Medicaid Services. Tufts Medicare Preferred HMO and Senior Care Options earned 5 stars out of a possible 5 from the CMS for 2016, one of only 12 Medicare Advantage plans in the country to receive this rating for 2016. Prior to joining Tufts Health Plan, Patty spent seven years with PacifiCare Health Systems in California. She was executive director for Secure Horizons USA and was regional director of health services; responsible for provider network performance, network contracting and development and utilization management. Patty began her career in managed care in sales and provider contracting. Patty serves on the board of directors of the Tufts Health Plan Foundation and is actively involved in the Massachusetts/New Hampshire chapter of the Alzheimer’s Association. Patty received an M.B.A. from the U.C.L.A. Anderson School of Management, an M.A. in health care management from the U.C.L.A. School of Public Health and a B.S. in public health from the University of Massachusetts at Amherst. Kelly Fanning is the Senior Director of Population Health Management at Brigham and Women’s Physician Organization. In this role, Kelly partners with the Chief Medical Officer to develop the BWPO’s strategy to deliver efficient and high quality care to all of their patients. Specifically, Kelly works within Brigham and Women’s and across the Partners network to redesign care and position BWH as an accountable care organization and a center of excellence. Prior, Kelly held multiple leadership roles at Blue Cross Blue Shield of Massachusetts, where she worked collaboratively to align the needs of members, accounts, and providers. Kelly holds a bachelor of arts from Colby College and an MBA from Simmons. Katharine London, MS, Principal, University of Massachusetts Medical School, Center for Health Law and Economics. Ms. London has over 25 years’ experience developing policy in the areas of health care financing, payment reform, cost containment, and quality improvement. Previously, she served as Executive Director of the Massachusetts Health Care Quality and Cost Council, Director of Health Policy at the Massachusetts Attorney General’s Office, Director of Special Policy Initiatives at the Massachusetts Division of Health Care Finance and Policy, and Pricing Policy Manager at the Massachusetts Rate Setting Commission. Ms. London holds a master’s degree in health policy and management from the Harvard School of Public Health and a bachelor’s degree in applied mathematics with biology from Harvard and Radcliffe Colleges. Please join us for our networking event in Boston, which has become a January tradition! We will have appetizers and a cash bar. In case of inclement weather, please call 617-731-4700 after 12 pm on day of event. If cancellation due to weather, there will also be a posting by 12:00 here on the website. Join WHCM for another fun evening of connections, catching up, and great conversation. There will be food and a cash bar. Looking forward to seeing members old and new, and some new faces! Keynote speaker Sandra L. Fenwick, President and Chief Executive Officer of Boston Children’s Hospital will speak on career path and tips for women emerging leaders. Join us for what’s sure to be another successful annual fall forum! There will be a full dinner and a chance for Q&A and to network with other women in the healthcare field. As President and Chief Executive Officer of Boston Children’s Hospital, Sandra L. Fenwick leads the nation’s foremost independent pediatric hospital and the world’s leading center of pediatric medical and health research. Ms. Fenwick has been a driving force to improve the effectiveness and efficacy of the care provided at Boston Children’s while at the same time reducing the costs of care. Through a combination of hospital affiliations, outpatient specialty care centers, community health centers and regional partnerships, she has helped create a children’s health network providing high quality pediatric care in local settings. During her tenure, Boston Children’s has also expanded its commitment to and investment in prevention efforts focused on asthma, obesity, mental health and violence. Ms. Fenwick joined Boston Children’s in June of 1999 as senior vice president for Business Development, Strategy and Ambulatory Care Operations. In November of 1999, she was appointed Chief Operating Officer, was named President in October 2008 and was appointed President and Chief Executive Officer in October 2013. Boston Children’s is a 397-bed Harvard teaching hospital with over $1.9 billion of revenues including $325M of research funding. Boston Children’s has 1,600 physicians and dentists, trains over 1,000 residents and fellows annually and has a total employee base of 9,000 employees. She currently serves on the Board of Directors of Risk Management Foundation/CRICO, Ltd., Wyss Institute, Children’s Hospitals Solutions for Patient Safety, Greater Boston Chamber of Commerce, A Better City, MASCO, Inc, Jobs for Massachusetts, Inc. and Boston Children’s. She is also a member of the Massachusetts Women’s Forum and Women Corporate Directors/Boston. Prior to her arrival at Boston Children’s, Ms. Fenwick served as senior vice president of System Development for CareGroup, Inc. From 1976 to 1996, she served in a number of roles at the Beth Israel Hospital including vice president and deputy director, vice president of Clinical Services Planning and Development, and vice president of Network Development for Beth Israel HealthCare. She holds a Bachelor’s degree from Simmons College with distinction and a Masters in Public Health degree in Health Services Administration from the University of Texas School of Public Health. She has received numerous awards and honorary degrees for her contribution to healthcare. It’s closer than you think! Check out the newly opened University Station area, just off of Route 128 in Westwood(across from the MBTA station). A chance to network and meet women who also work in the healthcare industry. Delicious food so come hungry! Please register by Wednesday July 22.